The parents of a 14-year-old cheerleader in Pennsylvania are asking that same question to the Fayette County school board after their daughter was crushed under the school's bleachers and sustained broken bones, nerve damage, and facial injuries. The high schooler was practicing in the school gym with her squad when coaches asked the cheerleaders to push back the bleachers into their storage poisition to gain more practice area. As the group pushed back the bleachers, they collapsed, pining at least two cheerleaders underneath. The parents contend in their lawsuit that school district officials should have known that these bleachers posed a potential hazard. The school system settled with the family for $235,000. A $1 million lawsuit was filed on behalf of a five-year-old Tennessee boy who was attending a basketball game and attempting to climb down the steps from the mezzanine level to the bleachers. The boy slipped, slid under the railing and fell approximately 10 feet onto the floor on his head. 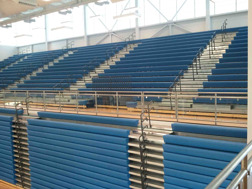 This lawsuit alleges that the irregular height of the steps connecting the bleachers to the mezzanine and the improper design of the railing contributed to the accident. The plaintiffs contend that the equipment was either poorly manufactured or installed at a later time. School officials admitted that other accidents had occurred as a result of using those same steps and agreed to make improvements to their equipment and pay an undisclosed amount to the family of the injured little boy. As evidenced by these events, stadium seating maintenance and inspection is critical. Without it, serious, even fatal injuries can occur costing your school thousands of dollars and creating years of suffering for unsuspecting patrons. Toadvine Enterprises is happy to introduce our maintenance and safety inspection program, Vine and Branch, an inspection program for all indoor and outdoor seating equipment. Using certified technicians, we can provide the annually-required maintenance inspection on all seating equipment and yearly contracts. 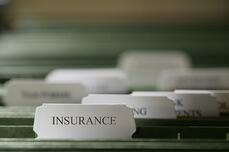 Keep your maintenance records up-to-date and prevent the tragedies and liability that can occur when you don't. Fill out our Maintenance and Safety Interest form and we will get back with you quickly to discuss your needs.